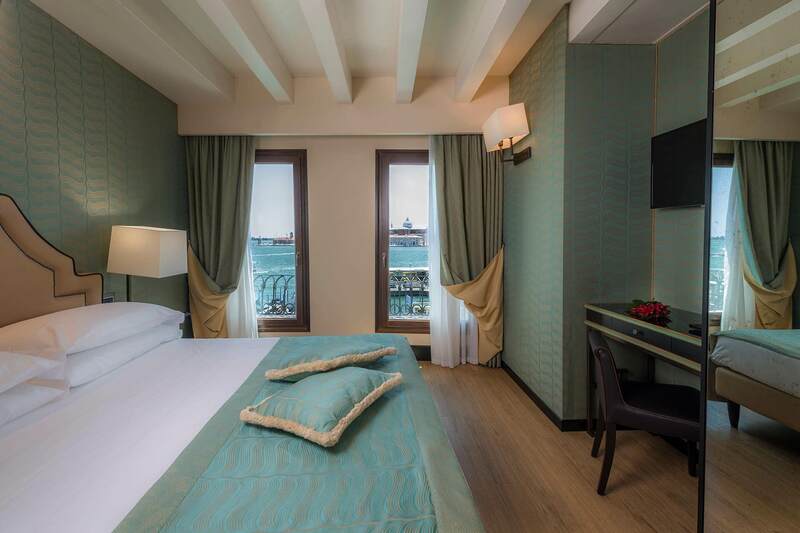 the rooms at the Hotel Paganelli are designed to meet every need. 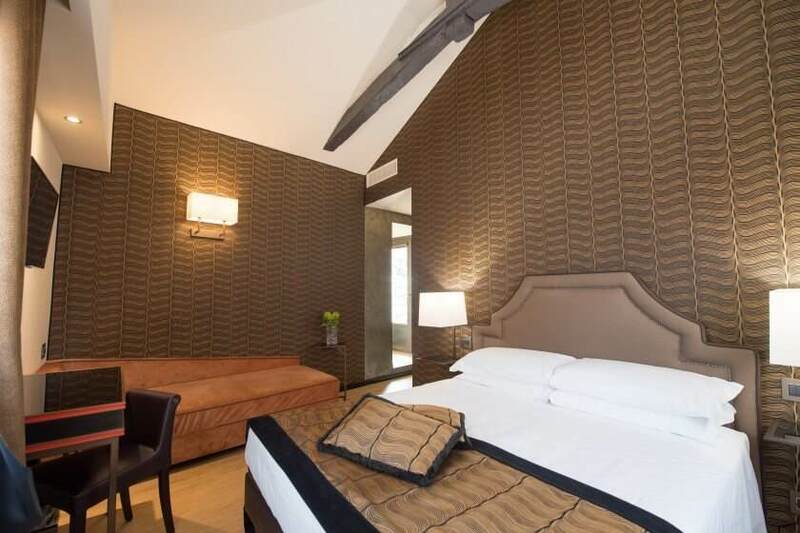 Rooms located in the wing of the most recent renovation of the main building. 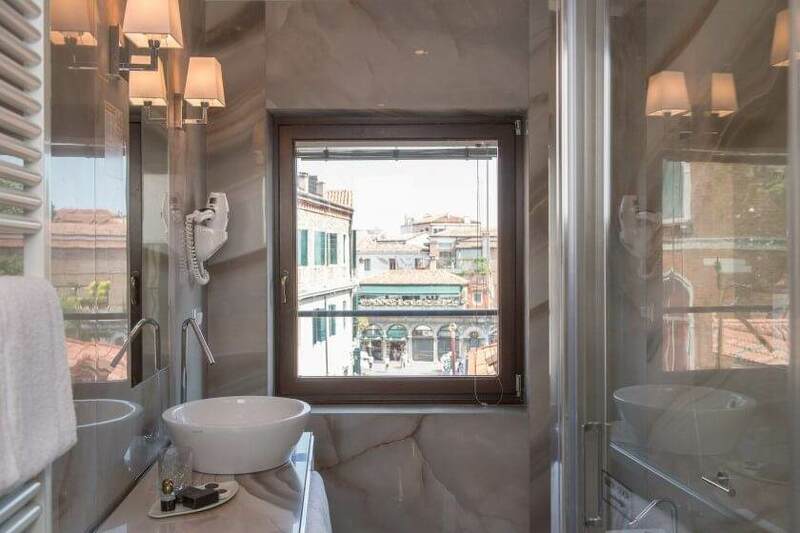 Featuring Venetian-style décor and a large bathroom; double, triple and family rooms, some with a view of the San Marco Basin. 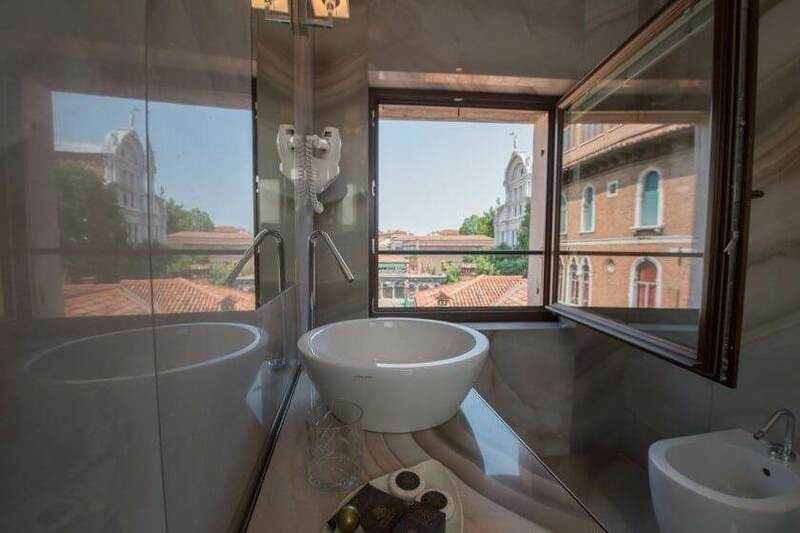 Room featuring a glimpse on the surroundings roofs and on the little alleyway leading to San Zaccaria Square. 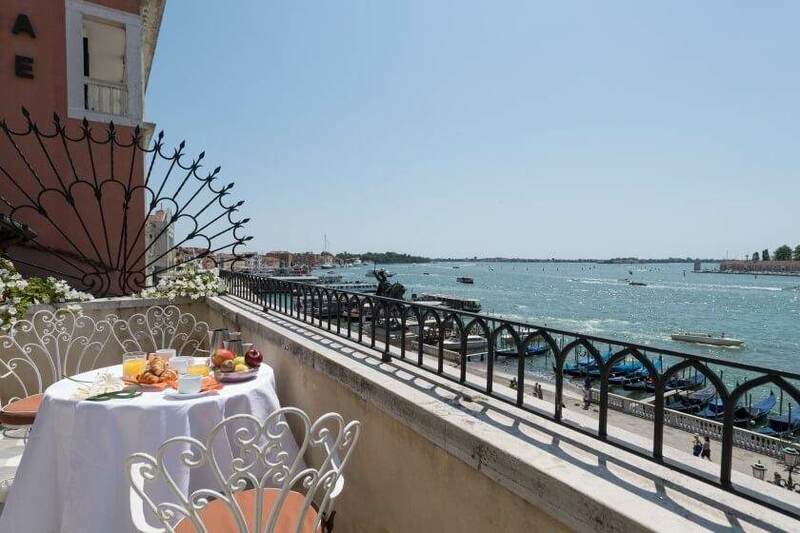 With a fantastic view of the San Marco Basin, it's the fantastic backdrop for a romantic stay or a family holiday in Venice. 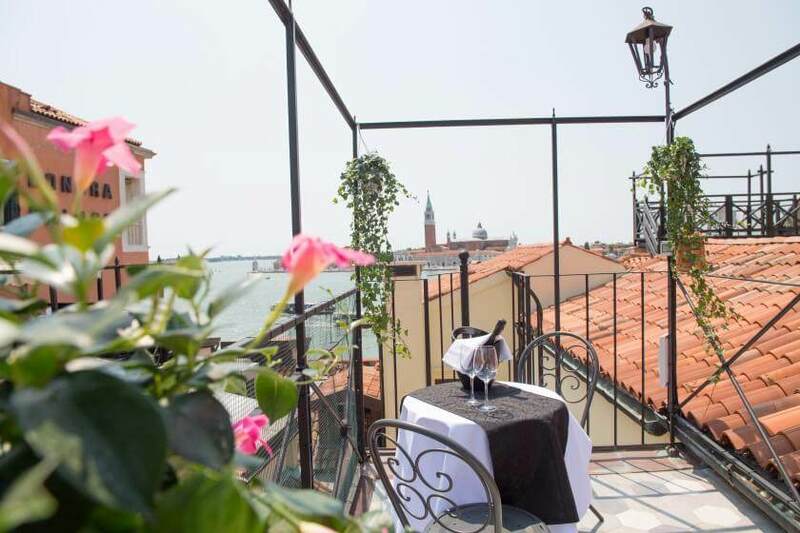 Allow yourself the luxury of a stay in this exclusive room with a private roof terrace ("altana"), where you can take refuge and enjoy a marvellous view of Venice. Still want more? 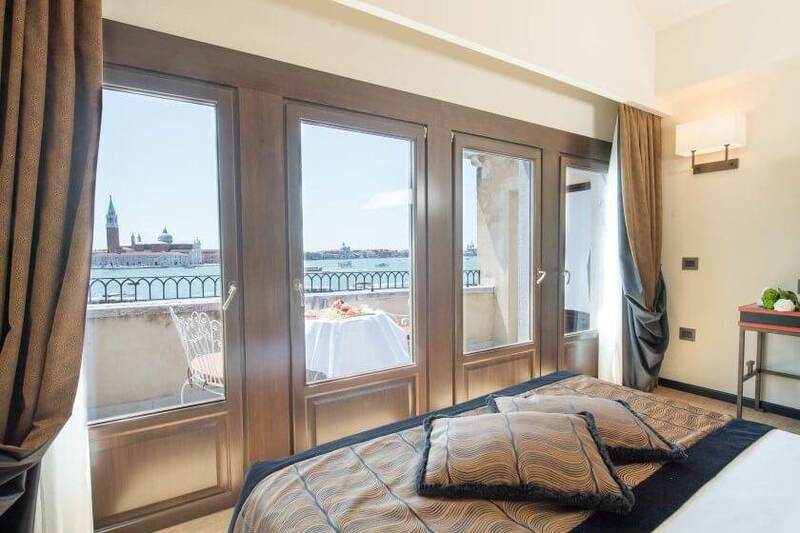 Book the exclusive "Unique" room, with a characteristic private balcony, from which to enjoy a fantastic view of the San Marco Basin. A one of a kind. 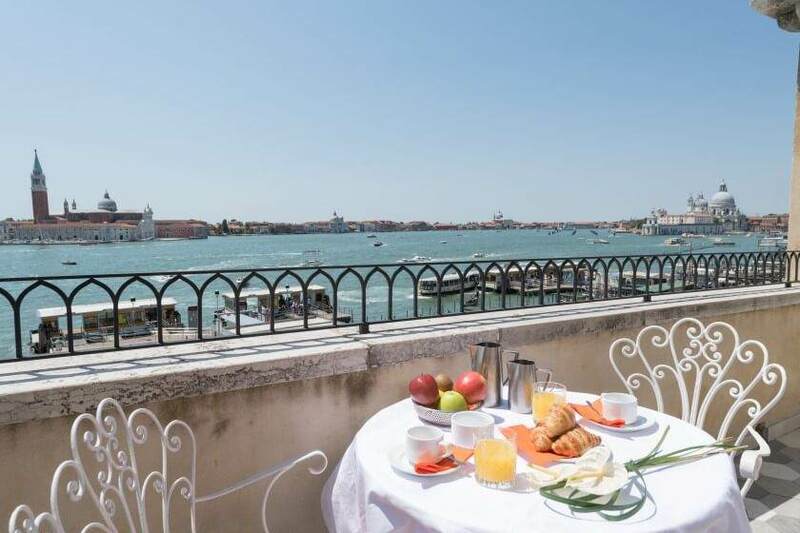 In the building Riva degli Schiavoni, exclusive rooms with an enchanting view of St Mark’s Basin and the island of San Giorgio. 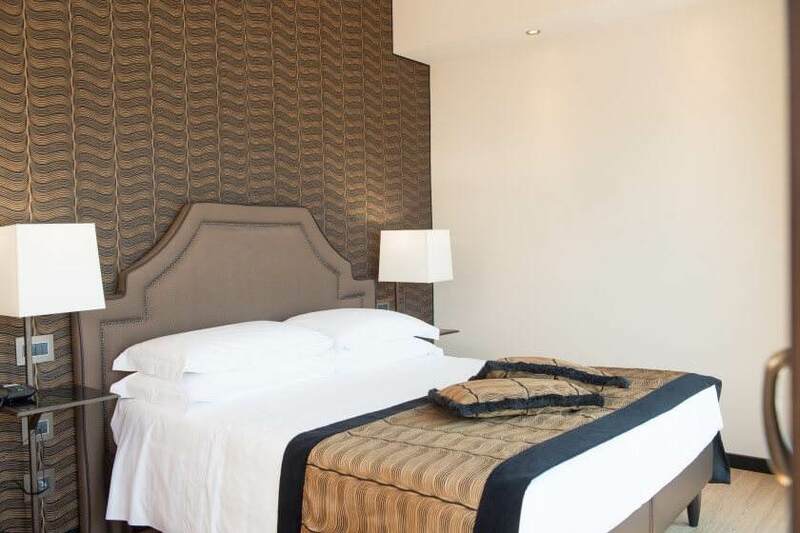 Furnished in an art deco style, with refined fabrics, providing a relaxing and elegant ambiance. Mosaic tiled baths. 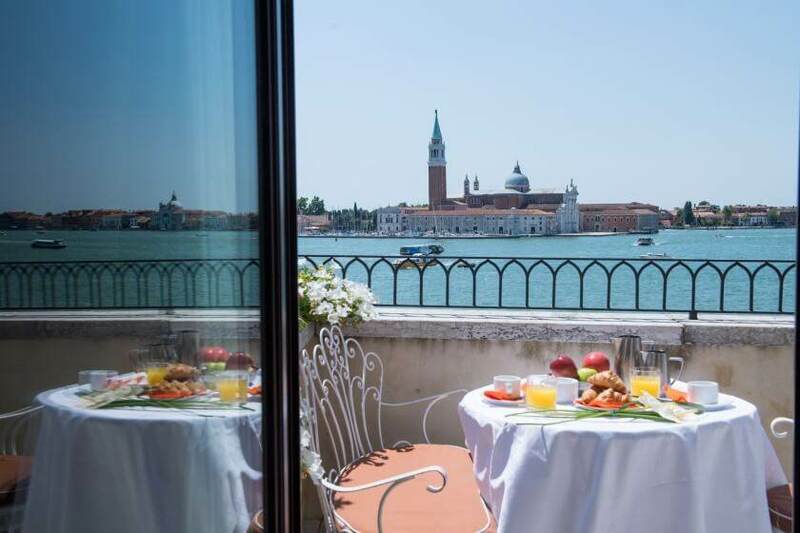 Comfortable and elegantly furnished rooms in art deco style, some with balconies providing spectacular views of the city, towers and churches. 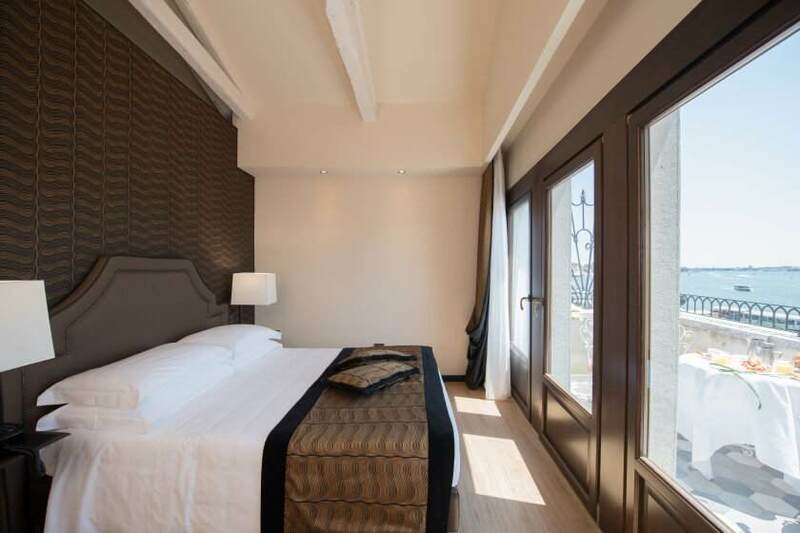 Family rooms can host up to 4 people. 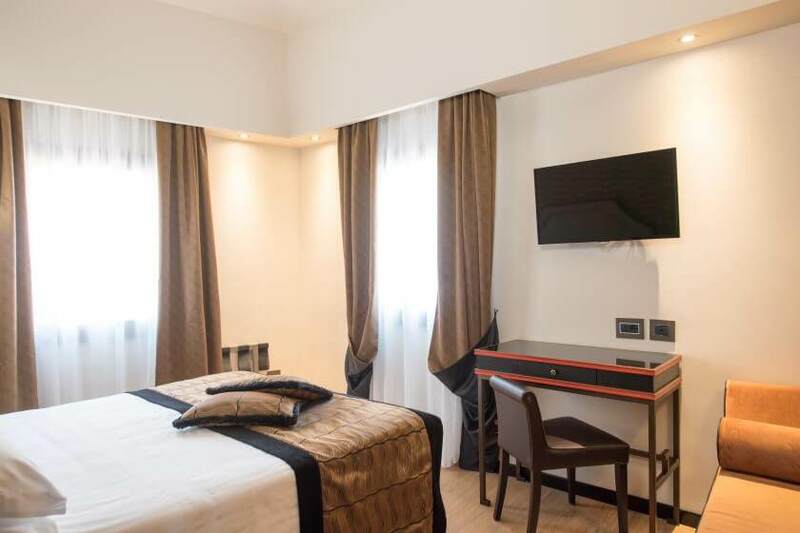 Budget rooms, in the hotel annex (that houses the breakfast room, bar and restaurant), made with every attention to comfort and style, modern and captivating. 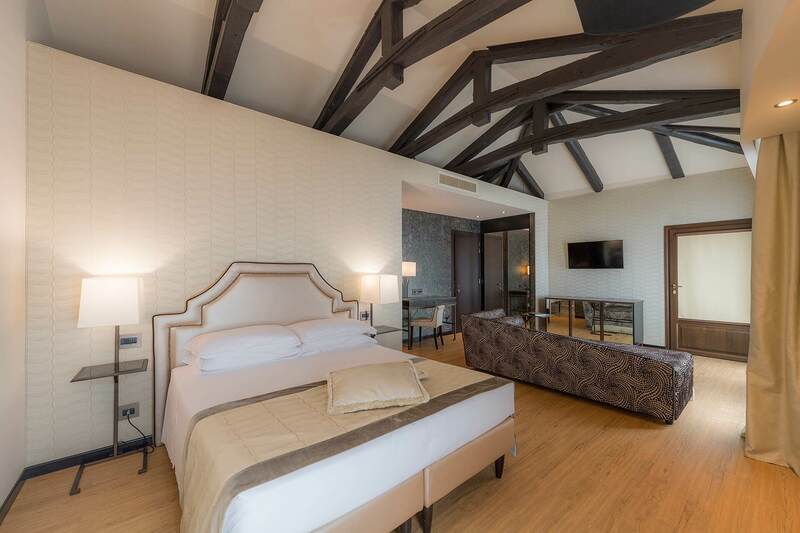 Some feature wooden ceiling beams, other still display the original expertly restored trusses. Rooms located on the ground floor of the main building, with access through an internal courtyard. 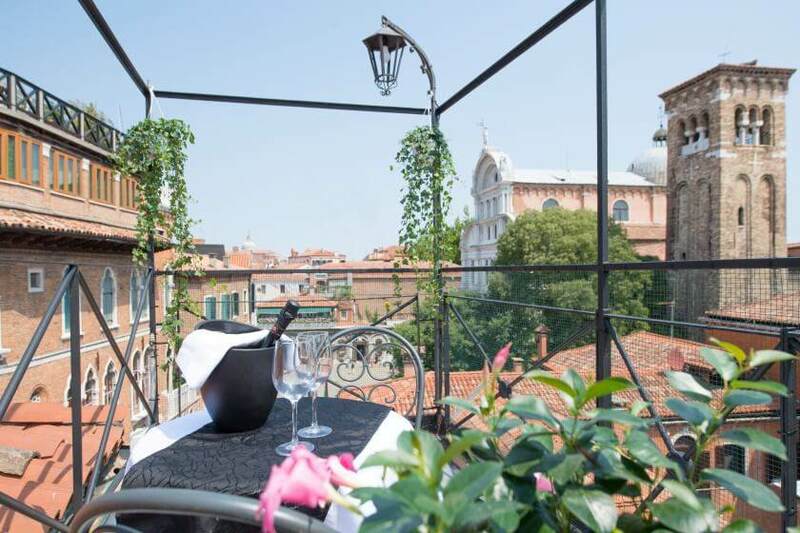 Recently renovated, ideal for guests looking for accommodations close to St. Mark's Square on a limited budget.